Discussion in 'Traditional Folders and Fixed Blades' started by avoidspam, Jan 6, 2013. I guess what I'm trying to do is get people's thoughts on makers and patterns that take the best elements of traditional knives and marry those to modern ideas, materials etc. In this 'Tactical' dominated knife period I enjoy finding knives that combine the old and new to great effect. The Enzo came as a really nice kit from Brisa who manufacture Enzo knives. 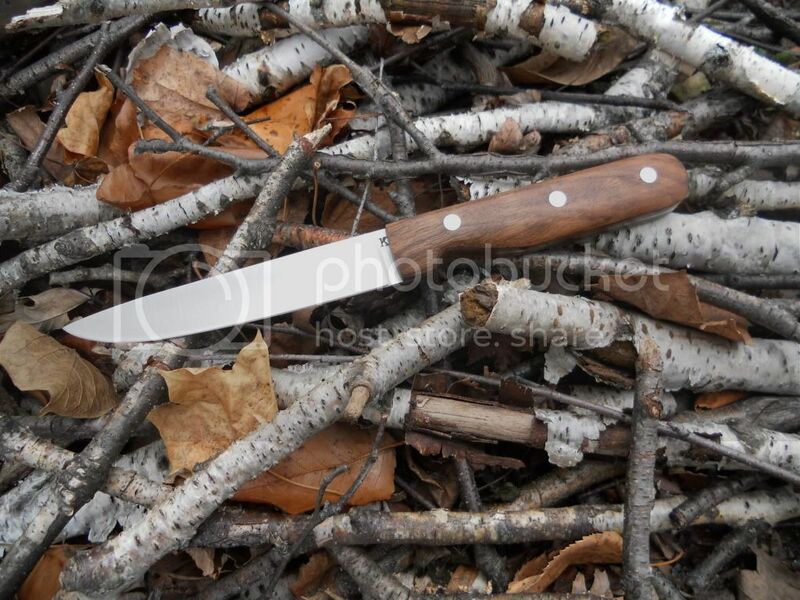 The Elver follows a very traditional Scandinavian knife design only in full tang and with a variety of scale options. I went for FFG, D2 (really like D2!) coupled with linen micarta scales. I've made a few knife kits, this one was nice and easy and it's proving to be a very versatile knife. My favorite type of knives to make are traditional fixed blades, here are a few examples. Exactly what I'm talking about, I've always admired your knives. I really like that Canadian Belt Knife. That style has to be my favorite traditional fixed blade style. I'd like to see some others that were a little nicer. One made to the same quality as the couple of GECs would be very sweet. 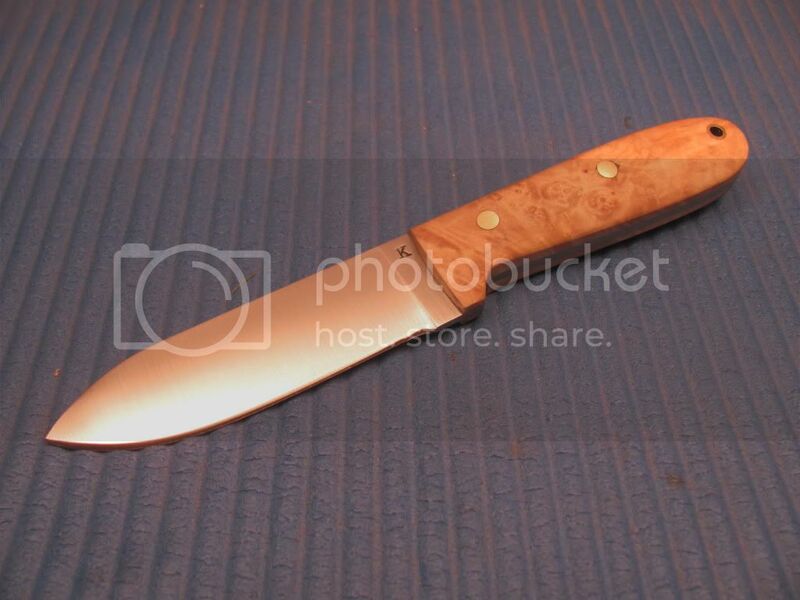 I've had my eye on the Enzo knives for a while, might have to pick up a Trapper at some point in flat-ground D2. You've done a great job there. Nice blend of old and new Woodrow. I've always thought of M4 as a modern carbon steel, lovely stuff. I guess what I'm trying to do is get people's thoughts on makers and patterns that take the best elements of traditional knives and marry those to modern ideas, materials etc. Modern materials - OK - we do those anyhow. Ah the peril's of Google, got my Rowan's mixed up! Nil points! Wouldn't the Buck 301 and 303 be perfect examples of a modern traditional? They have synthetic scales, stainless steel bolsters and liners, stainless steel blades of good modern Bos heat treat. 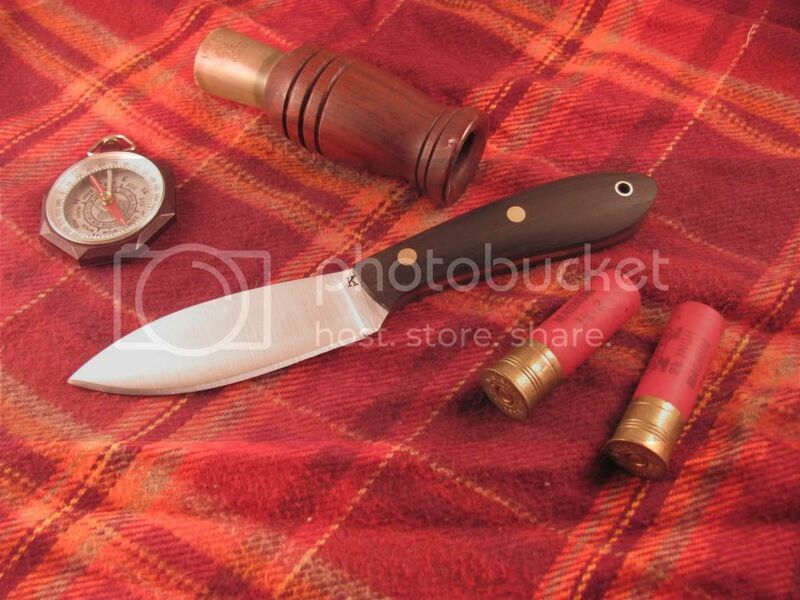 Yet to look at them, they are without a doubt a traditional stockman pocket knife. 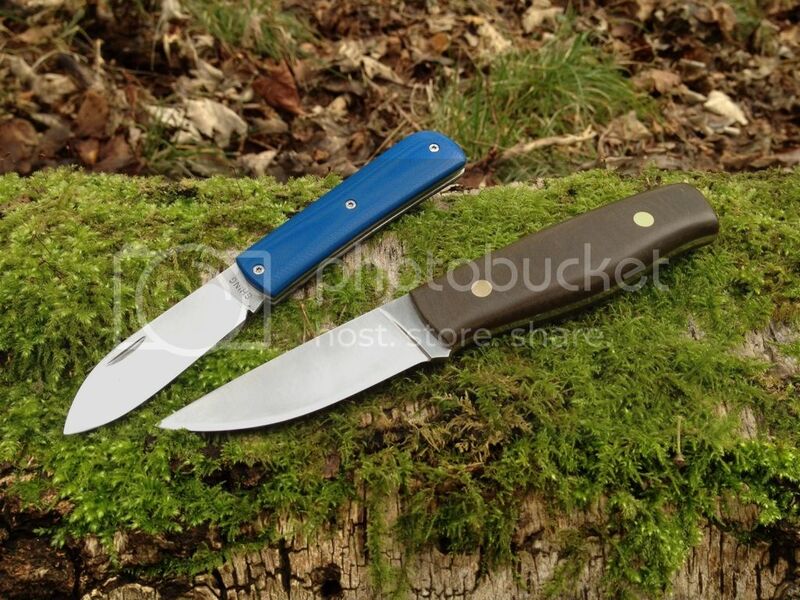 The Uncle Henry series of pocket knives by the late Scrade Cutlery company were modern traditionals. Your granddaddy would have recognized them in a instant, yet they were all modern materials, with delrin made to simulate stag to the point it was called staglon. I think traditional style can be done in modern materials. While I have some modern modern knives, they don't belong here. I particularly like the Sodbuster, it embodies my thoughts behind the thread. Namely a maker who will take a traditional pattern and bring a fresh angle to it, be it with a variation on blade shape, new materials or the ability to take the knife apart. Still the knife will always be a traditional knife. I guess I have a couple that would fall into the Modern Traditional category.